The Miami Herald reports that Dade County intends to forcibly detain to psychiatric institutions any person experiencing homelessness who does not come into shelter before Hurricane Irma. As the Board of the National Association for Rights Protection and Advocacy (NARPA), we oppose force of any kind in the provision of psychiatric services. Additionally, we reject the reported assertion that any person experiencing homelessness must, by definition, also have a "mental illness." Lacking adequate shelter is not an indicator of any alleged mental disorder, nor is detaining individuals who lack shelter consistent with the right of every individual to make choices. 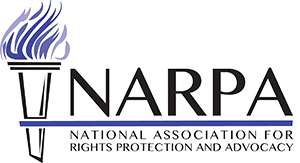 NARPA recognizes that all persons have a right to seek safety from impending disasters such as Hurricane Irma. However, involuntary detention in psychiatric facilities is not the solution. Recommendations for appropriate safety for individuals with psychiatric disabilities in disasters are articulated in a report on our website, "The Needs of People with Psychiatric Disabilities Before and After Hurricanes Katrina and Rita." Those recommendations do not include involuntary detention. NARPA workgroups will develop plans to implement these recommendations in the coming year.